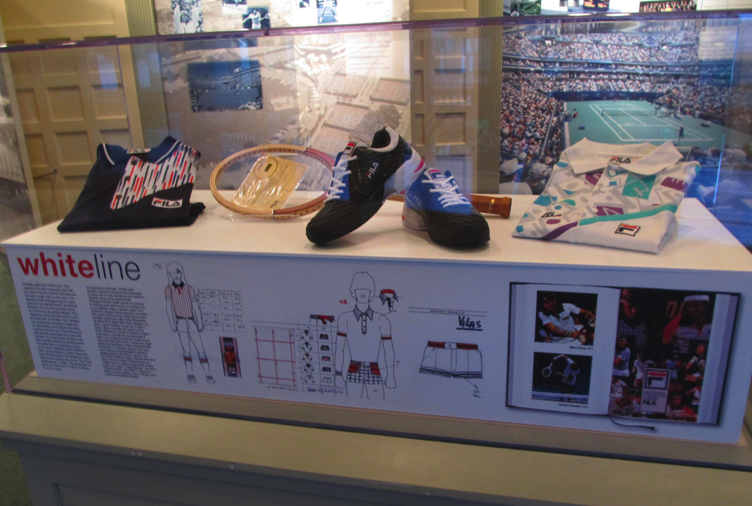 After the cut: our favorite pieces from the Fila 100 collection and a one more look at the Museum display. 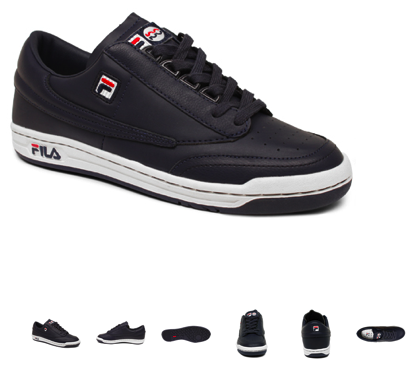 Fila fellas: There’s plenty to choose from on the men’s collection. Our fave? See below. The Kimgoolagong look? 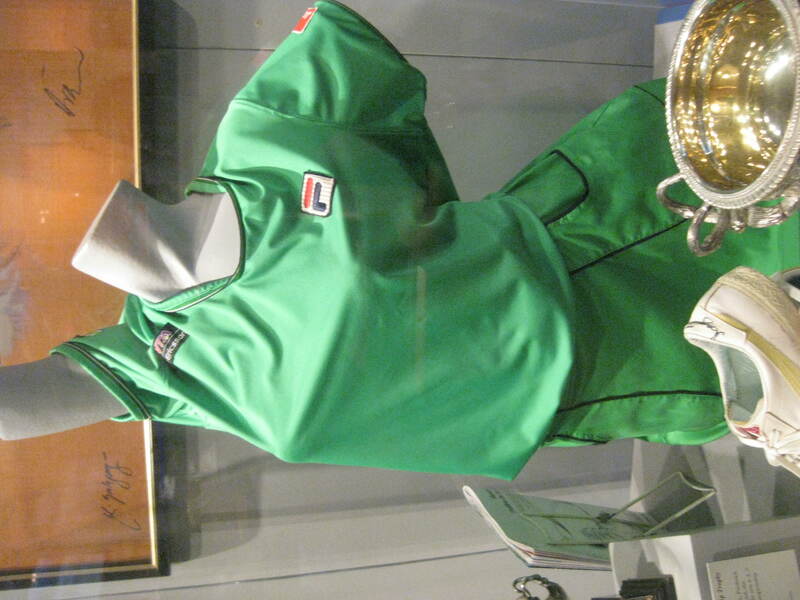 The outfit that Goolagong originated and Clijsters brought back. There are plenty of options in the lady’s section, too. 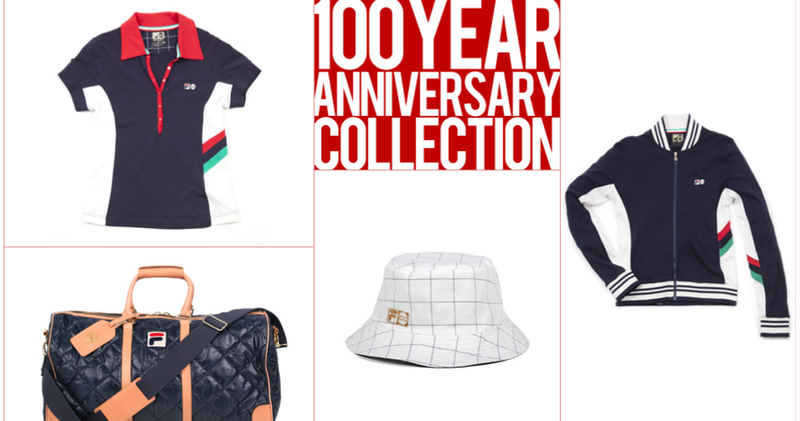 | Browse for yourself! 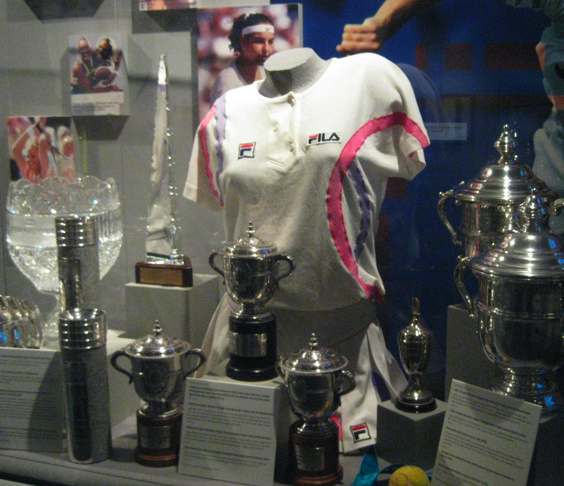 This entry was posted on July 16, 2011 at 10:02 am and is filed under bags, clothing, fashion, fila, hall of fame, kim clijsters, monica seles, tennis. You can follow any responses to this entry through the RSS 2.0 feed. You can leave a response, or trackback from your own site.